Stocks are higher after Trump’s proposed tariffs against China were smaller than expected. Bonds and MBS are flat. Same store sales increased 5.4% last week, continuing a string of strong reports. Consumption data suggests that the fourth quarter is going to be strong, supported by the best holiday shopping season since the recession. Builder sentiment was unchanged in September, according to the NAHB Housing Market Index. A lack of construction workers and higher construction costs are offsetting a strong seller’s market for new homes. The credit markets for corporations with speculative credit remains robust. A Blackstone-led investor group raised $13.5 billion for a 55% stake in Reuters data business. Huge leveraged buyouts have been largely absent since the financial crisis, and the covenants are extremely borrower-friendly. Aside from the RMBS shenanigans of the 06-07 era, we saw a lot of reaching on leveraged buyout deals (LBO firms buying non-LBO friendly businesses like semis and retailers). In fact, the first indication of a problem in the credit markets in 06 was when the buy side refused to bite on the paper issued to fund the Alliance Boots transaction (an LBO of a British drug store chain). The banks got stuck with the inventory, and the rest is history. With LBO credit widely available, you would think the private label MBS market would be coming back. So far, it is a shadow of its former self, with a number of issues (prepays, conflicts) preventing it from returning in any size. If it can’t do so in this environment, it almost makes you wonder if it ever will. A UBS strategist is out with a bold call that the Fed will take a break after September and skip tightening at the December meeting. He believes that trade war fears will keep the Fed cautious, and will not be as inflationary as feared. A new study by the Urban Institute finds that contrary to popular belief, manufactured homes appreciate in value, although at a smaller rate (3.4% annually versus 3.8% for tradition homes). They suggest that geographical differences could explain the difference – mannies are concentrated in slower growth states and are underrepresented in pricey markets like the California. Currently the government only finances mannies when the land is part of the deal, and since this study uses the FHFA House Price Index, they are excluding structure-only chattel loans, which are something like 80% of the market. 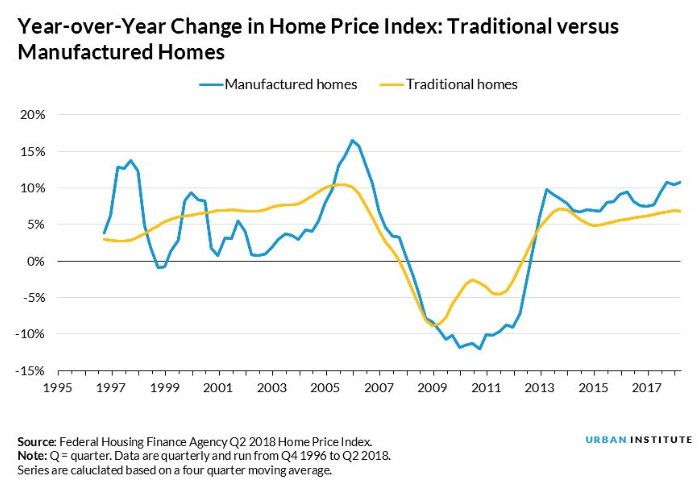 Note that mannies are overall more volatile that site-built homes, which means more risk for the lender all things being equal and therefore justifies the LLPAs. A couple of economists think they have found a profitable trading strategy around the Fed. 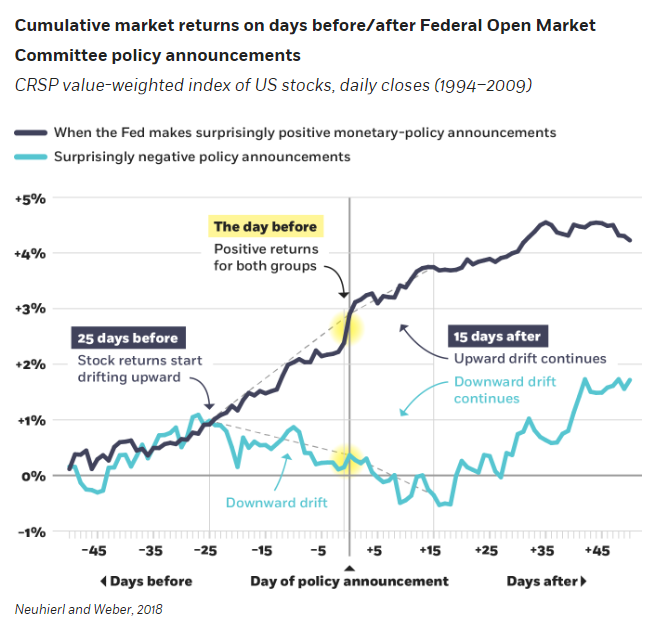 The idea is to buy or sell the market after the Fed makes a surprisingly dovish or hawkish monetary announcement and then unwind the trade 15 days later. The trade provides a higher return without increasing risk (higher Sharpe ratio). Something to think about ahead of next week’s FOMC announcement. If the dot plot comes out a bit more dovish than expected, supposedly you can make some money buying some SPYs and unwinding the trade mid-October. Full disclosure, not recommending you do that, just saying the study says it should work.